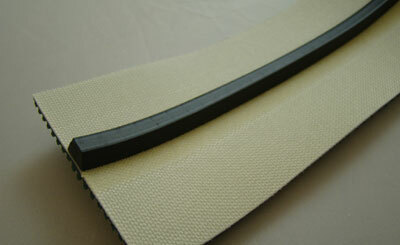 Shingle Belting's PVC V-Guides are extruded from superior PVC compounds. Our PVC V-guides are much more cost effective because they can be applied with less heat; which decreases the damage to the belt's carcass, they will not crack or delaminate and they have good resistance to heat and oils. 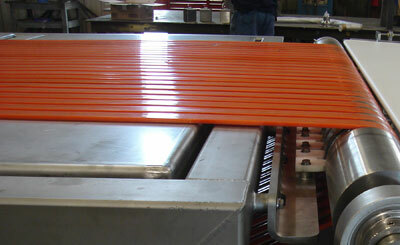 For the average V-Guided belt, the V-Guide represents a small portion of the total belt cost. Why risk costly belt failures with inferior, clay-filled V-Guides? Designed for applications where a tracking guide(s) are required. Can also be used as V-cleats. Custom profiles are available.